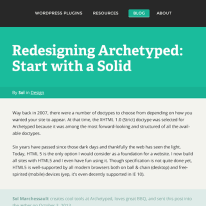 You can call designing a website a process all you want. You can even clearly define all the steps of the process in excruciating detail. Nonetheless, design is also art, which cannot be bothered with your banal concepts of steps or schedules. Sometimes part of a website design project will take longer than expected to complete. The best thing to do is anticipate this and build allowances for delays into your project’s timeline. It’s easy (and good) to be overambitious, so this will help you have a more practical plan for the project. 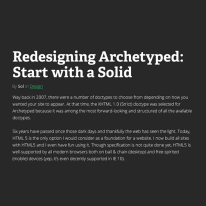 Unearthing the design for a website is largely experimental. You can’t really control when the perfect design comes along. All you can do is decide when to stop searching and move forward with what you currently have. 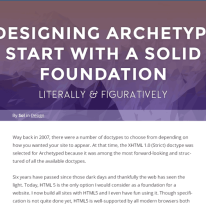 I spend about 1 day per week on Archetyped’s redesign. I have decided to dedicate one more day (and thus another week) to building mockups. The visual design phase is very important because it impacts every step that follows it, so spending another day to fully explore the design is worth the time.